eSports betting has often taken a backseat to the more mainstream sports betting options, but not until the major eSports tournaments began to tickle the fancy of avid bettors. Today, online sportsbooks and even online casinos cover eSports matches, much to the delight of the iGaming community. Making the eSports craze more pronounced is its success in Bitcoin gambling. This is the reason more sites are getting hooked to the eSports scene, and the DreamHack Masters 2016 is the latest eSports tournament to be in the spotlight. 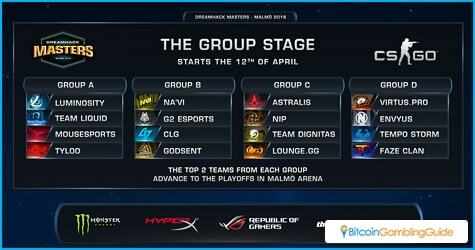 All eyes are on the DreamHack Masters taking place in Malmö, the third largest city in Sweden. This year’s event is the biggest yet, and it focuses on a single game—Counter-strike: Global Offensive. The lead up to this event has been a roller-coaster ride, mostly because of the addition of qualifiers. Half of the final 16 teams competing in the event were invited, while the others earned their invitation through the four qualifier events in Asia, North America, and Europe. 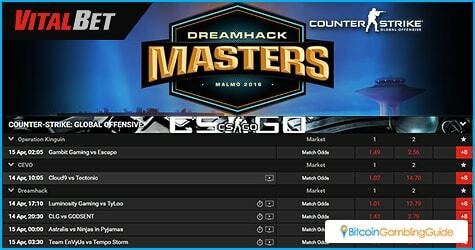 DreamHack Masters 2016 categorizes all competing teams in four groups with four teams in each group. The elimination round, which began April 12, will witness the teams that will record the most wins to advance to the playoffs. Two wins will make a team eligible while two losses will eliminate them. The top two teams from each group will advance to the next round, which is set to happen on April 16. The tournament continues the next day where the winning teams getting a share of the total prizes worth $250,000. The top team gets the lion’s share of $100,000. The DreamHack Masters, which first happened in 2010, is considered by gamers worldwide as one of the premier eSports events in the world. The fun and excitement doubles as top Bitcoin sports betting sites cover all matches, beginning from the elimination round until the playoffs. Bettors looking to place their wagers on the said event can head over to VitalBet, one of the leaders in eSports betting. 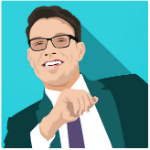 Advertised as Manny Pacquiao’s official sportsbook and casino, VitalBet enables its players to engage in live betting and place their bitcoins on their preferred teams. As of the latest odds, teams Luminosity Gaming, CLG, Astralis, and Team EnVyUs are favored to win their matches. Adding more spice to the thrills of betting on the DreamHack Masters matches is VitalBet’s offer for new players to receive a 100-percent deposit bonus of up to €50. Other than VitalBet, Betcoin Sports and Bovada also host these matches for both Bitcoin and fiat players. Bettors can wager on all of the matches in real-time as well, and choosing which site to play in can depend on the odds offered. With 16 teams to bet on in the eliminations and seven matches to wager on in the playoffs, eSports fans will have an excellent chance to win their bets. This event additionally highlights the power of eSports and gives people a glimpse into the future of sports betting. Expect more such events to be hosted on the leading Bitcoin sportsbooks.